I’ve started getting my St. Patrick display set up. 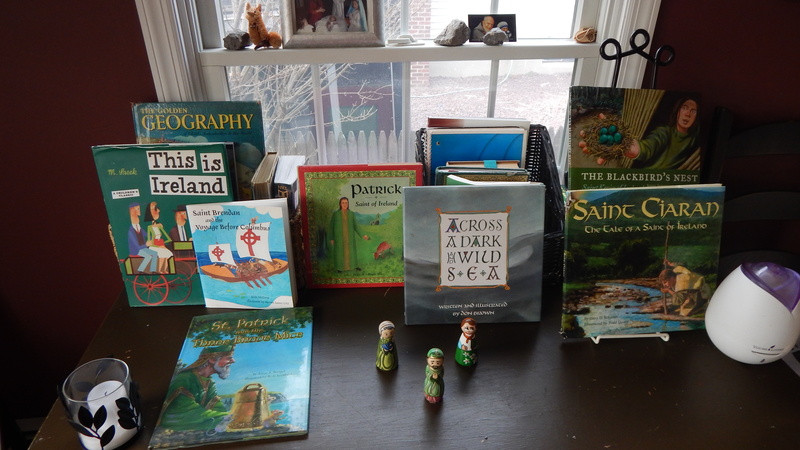 We have several books dedicated to St. Patrick as well as St. Kevin, St. Brendan, St. Bridget, and St. Ciaran. I also have several lovely picture books of Irish legends and stories which I dearly love sharing with my children each year. 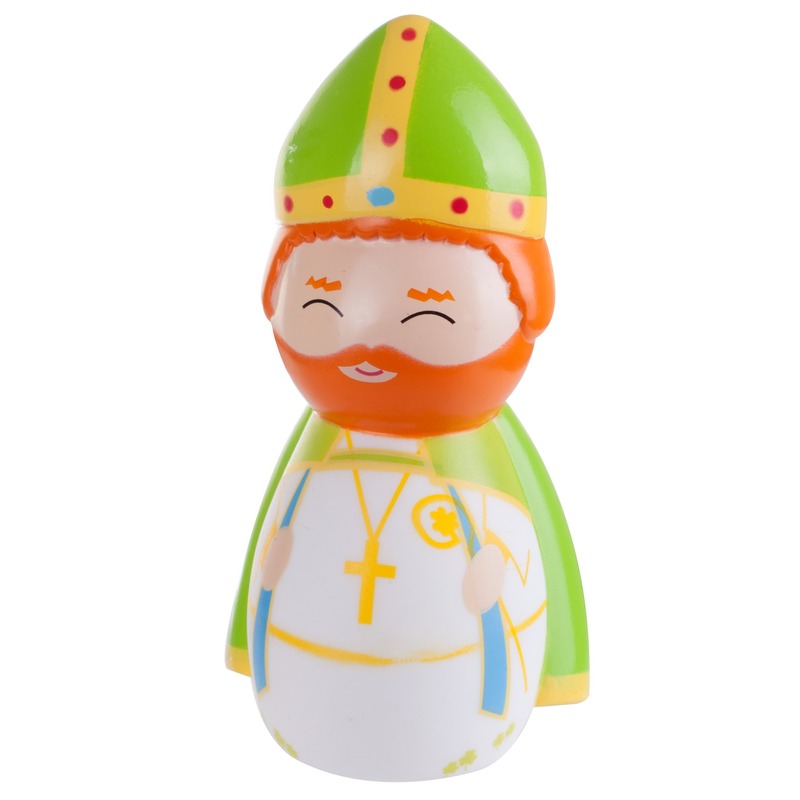 This year when I was pulling out the peg dolls and searching for shamrock lights I came across a Shining Light Doll that I purchased last year and tucked away. These dolls are super cute and perfect for young children and (sniff, sniff) mine are getting older now and so I think that the doll would be more loved elsewhere. I still have peg dolls for my cute factor :). So I’m going to give it away. Just enter below by liking the Tales from the Bonny Blue House Facebook Page or Tweeting about the give-a-way (or both) and you can have this little saint celebrating with you by his feast day. The contest ends Friday and I’ll announce the winner Saturday! (Note: I’m not an affiliate of Shining Light Dolls nor have they sent me any freebies, I just love the doll and want it to have a good home). I’ve been collecting these dolls for my grandchildren – love them. Thank you for the giveaway! It wont let me “like” the page through the giveaway and I don’t have Twitter.